As you may recall, last month I gave you some background on my decision to quit my day job and dedicate six months to writing with all my time, all my savings, and all my heart. Books demand more time inside, to think, muse, dream, and design our stories. But what if I love it so much I end up soaring too high and burning my wings? To continue the aviation metaphor, I mustn’t forget to touch ground and refuel every so often. Diary, my goal this month is to find the balance between chasing my dreams and relying on much-needed feedback, input and advice from the people within my editing and writing community. 1: Languish in limbo no longer. 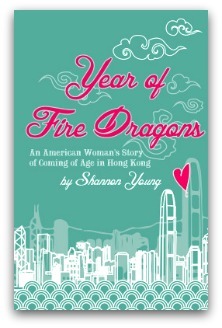 This month saw the final publication stages for the first book I ever started writing: Year of Fire Dragons. The working title for several years was Hong Kong Limbo, which is a fairly good description of this book’s journey. After writing several drafts, I worked with an excellent critique partner (fellow expat author Jane Cornelius) and asked numerous friends and relatives to beta read before querying literary agents. To make a long story short, one of the first agents who requested the full manuscript spent two years assuring me she would get to it soon. I don’t know if she ever opened the manuscript, leaving me—and my writing career—hanging in the balance. At the two-year mark, I withdrew my manuscript from her consideration. By that time, I had begun to believe that this particular book could find just the right home outside the New York publishing world and didn’t want to keep being strung along. I decided to take my career back into my own hands. Three months later I had signed a book deal with Blacksmith Books, an excellent Hong Kong-based publisher, and my piece on student debt had been accepted into the competitive Kindle Singles program. That piece is now being made into an audiobook as well. In retrospect I’m grateful for the delay that took place due because of that New York City agent. It gave me time to do some rewriting, and my manuscript was much better by the time I submitted it to Blacksmith Books. That said, it also taught me an important lesson about taking control of my own career. In this season as a full-time writer, I hope I’ll continue to learn when to take the initiative and be a better judge of when to rely on other people’s responses. 2: Get by with A LOT of help from your friends. My full-time writing schedule has allowed plenty of time to work on the little details while preparing for the launch of Year of Fire Dragons—with help and feedback from others, of course! 1) The publisher sent the final proofreading notes. I combed through the manuscript one final time, knowing that this was my very last chance to catch any errors. 4) I messed up, but got things sorted out in the nick of time. My publisher arranged to have an excerpt from my book published in a cool local magazine. I got the email about the opportunity shortly before I flew to Taipei for a friend’s wedding. I didn’t read the email closely enough to realize that they needed the excerpt ASAP. Several days later, I found myself in line for the elevator at Taipei 101 (the world’s second tallest building) reading an email asking where my excerpt was and could I send a photo, too? I had left my computer back in Hong Kong. At the top of Taipei 101, I tucked myself into a corner and spent most of our visit frantically trying to download the manuscript on my phone and find an appropriate photo to forward. Thank goodness for free WiFi! When we got back to the hostel I was able to use their computer to download my book and find just the right excerpt for the magazine. 5) I received blurbs offering advance praise of my book, the final full spread cover design, and a PDF with typeset pages (248! )—all the bits and pieces that make a book come to life. I’d written the pages, but my publisher had polished them, the designer had created the beautiful artwork for the cover, and the blurb writers had inspired me through their own books and offers of encouragement along the way. Notably, all of these little victories were the direct result of other people’s input. 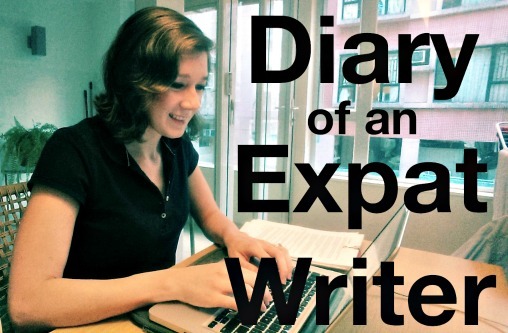 3: Expat life can be read as a metaphor for the editing process. It occurred to me the other day that living in another country can be likened to the writing and editing process. An expat has to be open-minded to the cultures around him—just as a writer must learn when to accept feedback. An expat must also forge her own path—just as a writer must sometimes decide to hold fast to the words she wants to write and the career she wants to pursue. With the near constant feedback of the other culture, an expat naturally reassesses the way they do things. Sometimes your new country doesn’t offer the same opportunities and you need to adapt, and sometimes you see a better way. Year of Fire Dragons used to have a lot more words: awkward words, melodramatic words, giddy and petulant and angry words about my first year living as an expat in Hong Kong. The process of writing the book was a maturing process. I had to first learn to describe what I saw on the surface, with assumptions and prejudices and even rose-colored glasses. Then I had to learn to refine my perceptions even as I learned to edit my words. I had to cut to the heart of what was most important, most interesting, and most moving. My work and my expat life are not so different, it turns out. Diary, I still struggle with whether I’m making the right decisions. I wonder whether my book will be good enough, or if I should have spent yet another year revising. I even question whether people are just trying to be nice when they say sweet things about my book. Throughout the next few months, I hope I’ll continue to learn how to take all the lessons offered by the wise folks around me, while still building this new life the way I want it to be. Thank you again for following along on this journey! Readers, it’s your turn. Have you ever struggled with the writing process, wondering how long you should hunker down before accepting feedback on your work, or if that feedback is genuine? Let us know in the comments! *Shannon Young has edited an anthology, How Does One Dress to Buy Dragonfruit? True Stories of Expat Women in Asia (2014), from which she is sharing some excerpts. We’re calling them “chunks” of dragonfruit—they taste delicious! Great post! I can relate to a lot of this. I think after 4-5 people give the same feedback, it’s time to reasses your work and start revisions. It also takes a while to develop a writer’s intuition, but once you feel like you are a good judge of what your work needs and where you should take it, your intuition won’t fail you! Congratulations, Shannon!